The Mother Tara Sakya Center was founded by Her Eminence Dagmo Kusho Sakya on June 30, 2000 under the auspices and blessings of H.H. the Dalai Lama and her husband H.H. Jigdal Dagchen Sakya (Dagchen Rinpoche). Tara Ling Santa Barbara was later established on Losar (Tibetan New Year’s Day) in February, 2012. 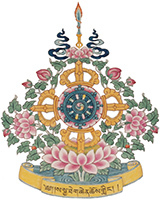 The Mother Tara Sakya Center and Tara Ling Santa Barbara are volunteer-based, non-sectarian, non-profit Tibetan Buddhist centers based at two locations in Southern California: San Gabriel and Santa Barbara. The mission of “Tara-Ling” is to contribute to the preservation and teaching of Tibetan culture and philosophy to all who are interested. 76, Tran quoc Thao Str.